We are offering epoxy coatings to our customers. We consider teamwork as an important factor in achieving high quality of products and total satisfaction of our customers. We are distributors from Andhra Pradesh. our clients can avail from us the most trusted system for lining tanks in many industries. This product is highly demanded in the chemical, steel, power, petroleum, fertilizer and allied industries. further, these linings and coatings are available with us at highly competitive prices. Moreover, these can be availed in many colors and shades. Enriched by our vast industrial experience in this business, we are involved in rendering Epoxy Coating. We are the leading organization in the industry to provide our clients the best quality Epoxy Barrier Coating Service. We manufacture Epoxy Treated or Coated Paper using B-stage epoxy resin. The epoxy resin is coated all along the paper to provide complete bonding with the windings. The Product used with various types of hardner like Polyamines amine adduct impart good corrosion and chemical resistance.75% Solution in Xylene (Epoxy resin). 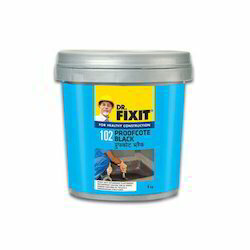 The Product is ideally suitable for cold curing chemical resistant paints coatings. 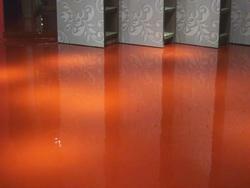 Backed by our skilled professionals, we are involved in providing Epoxy Flooring Coating.